What are the best retro games on PC? The gaming industry has come a long way over the past decade, but sometimes it’s soothing to go back to the basics. Games-as-a-service titles like Fortnite and Overwatch have set the benchmark recently by adding new content and cosmetics over an annual plan – something that has been adapted or originated by plenty of other studios, too. It’s not all sunshine, battle passes, and dabbing, though. There’s still space for games in the modern day that buck these trends by putting on a pair of rose-tinted pair specs, from Doom-like first-person shooters to love letters to the early days of the World Wide Web. Fortunately, there are plenty of great retro games on PC. 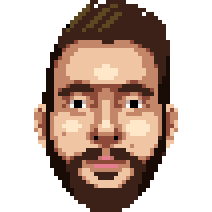 Indie developers are constantly making games that appeal to a more old school audience, so there are plenty of good‘uns to pick from. Oh, and it’s important to note that while the aesthetics of retro games hark back to the days before mouselook, they are modern games. If you are after a list of old games then we’ve got you covered. Sonic has had a tough time of it over the past few decades. While Nintendo’s Super Mario franchise has had no issue transitioning to 3D landscapes, Sega’s blue blitzer has tripped somewhat. It’s charming, then, that Sega found a return to form by putting Sonic Mania’s development in the hands of the fans who pitched it. What came about was a return to basics that focused on what made the game great initially, rather than an attempt to modernise the Sonic formula. Sonic Mania plays out as a side-scrolling platformer, much like the Sega Genesis era games. Adding to that sense of nostalgia is a swathe of remastered levels from that period, too, such as the Green Hill Zone from the original Sonic the Hedgehog. There are a few new levels thrown in for good measure but make no mistake. 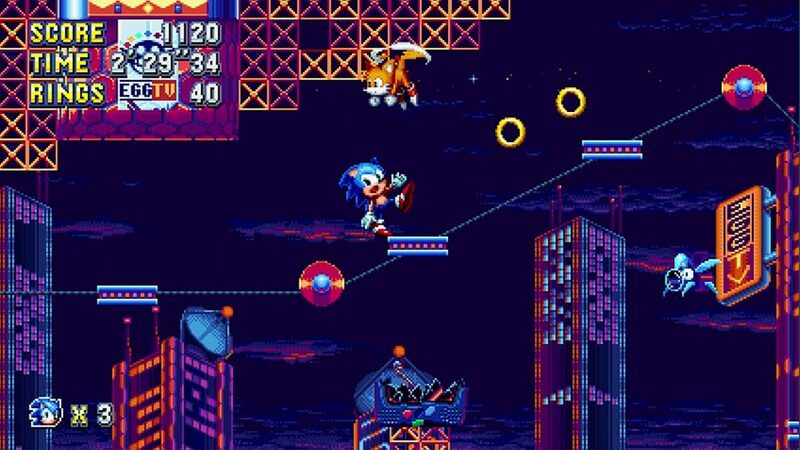 Sonic Mania is a fond reminiscing of what made the blue hedgehog a favourite in the first place. Chad and Jared Moldenhauer’s run-and-gun retro game pulls from a myriad of eras. Visually, and perhaps most obviously, everything is lovingly hand-drawn to look like a 30’s era Disney cartoon. Mammals, insects, and porcelain are all wide-eyed and bob to a metronomic rhythm, and wouldn’t look out of place in Steamboat Willie. 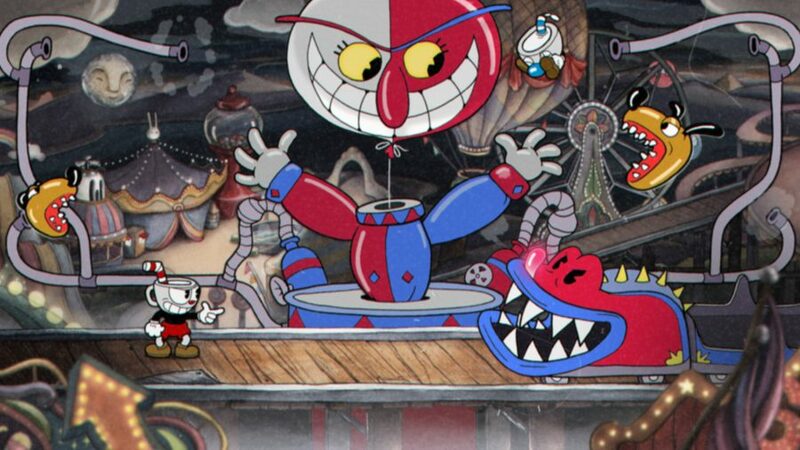 Cuphead also, naturally, borrows from old school side scrollers, too, with a tightly packed 2D layout, simple gameplay premise of repeatedly unloading your clip, and cruel boss fights. Strangely, Dark Souls is also a clear influence. 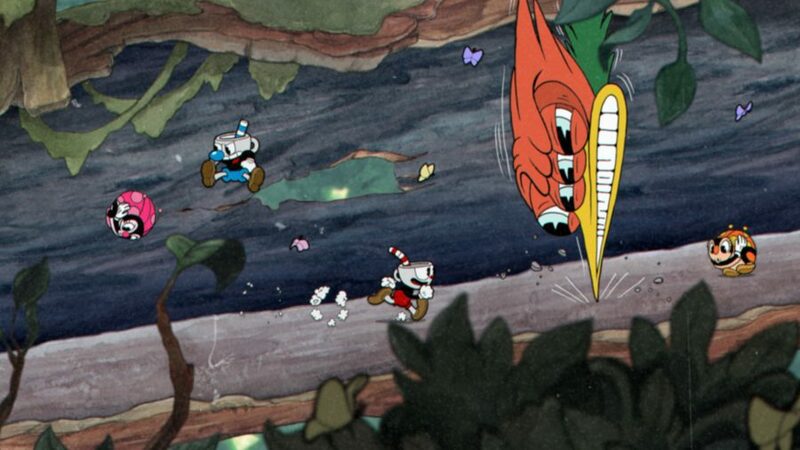 No, it’s not a difficulty thing, but rather in the journey Cuphead takes across three islands, collecting the souls of your enemies to level up, unlock new abilities, and battling towering bosses. It’s a random assortment of influences, but it comes together to create something new and familiar all at the same time. Plus, this is one of the best co-op games around as you can play the whole game with your best pal playing as Mugman. Dusk may not have released in 2018, but it’s arguably the best ‘90s shooter of the lot. Rather than being content to recreate the sights, sounds, and corny charm of Doom and Quake, it tries to add something more. Advanced movements such as strafe jumping are more accessible to master than they have been previously, which plays wonderfully into the type of power fantasy games like Quake can create. There are also modern tweaks like mouselook, which was a not-so-fun feature of old first-person shooter games. As Jordan puts it in his impressions piece, “Dusk is less interested in recreating the experience of playing these games, and more focused on capturing the warm, fuzzy feelings you harbour for them.” Playing Dusk makes you feel like an FPS master from the get-go, while the games that inspired it would routinely hand your posterior to you for not investing hundreds of hours into them. You can also take your newly honed skills into battle against your friends – making this one of the best multiplayer games on this list. 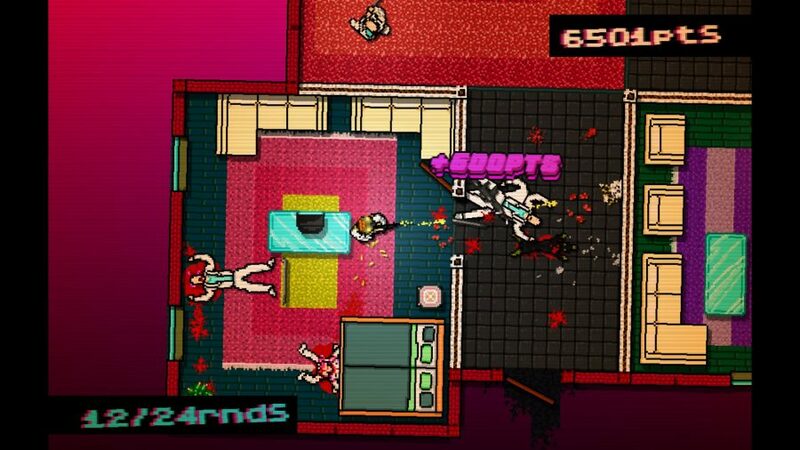 Jonatan Söderström and Dennis Wedin’s Hotline Miami is no regular shoot ‘em up. In many ways, it’s a memory puzzle that requires trial and error, alongside a knack for timing, not to mention a smidge of bloodlust. Each level puts you in a new building with a top-down perspective, a simple set of combat rules to follow, and one goal: kill everyone. You need to clear each building in whatever way possible, and taking any amount of damage will result in instant death. Be the one to fire the first shot or die. Thankfully, your foes also die with a single hit. That’s putting it mildly, too, as the game is packed with hyper-violent executions from bashing them in with a crowbar to sniping them from afar with a pistol. All that ties into a love of 80’s culture, from a pumping synthwave soundtrack to influences from Nicolas Winding Refn’s 2011 neo-noir crime film Drive. The story pushing the game is suitably Drive-like, too, as you’re put in the blood-soaked sneakers of a nameless assassin who has been chopping up the local mafia. This may not be the first game on this list to be inspired by something from the 80’s, but it certainly has one of the best narratives. 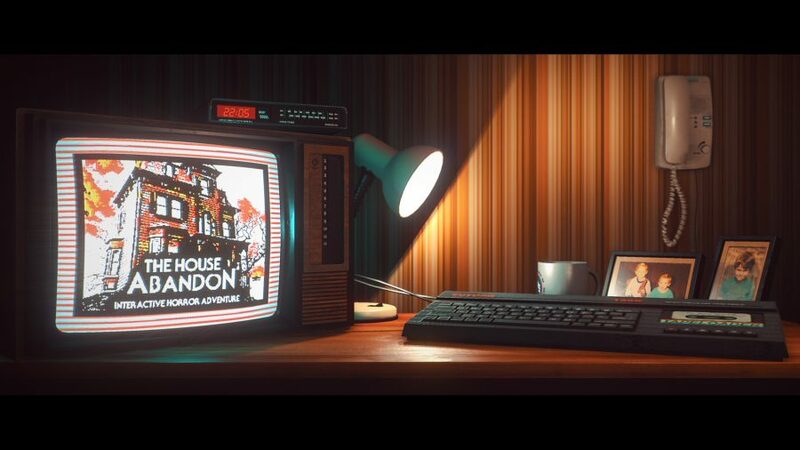 Stories Untold plays out as part episodic horror and part adventure puzzle and is inspired by 80’s tech ranging from old radio equipment to the ZX Spectrum. It may come as no great surprise to you, then, that you’ll spend your time solving puzzles by plugging away on a computer or two. 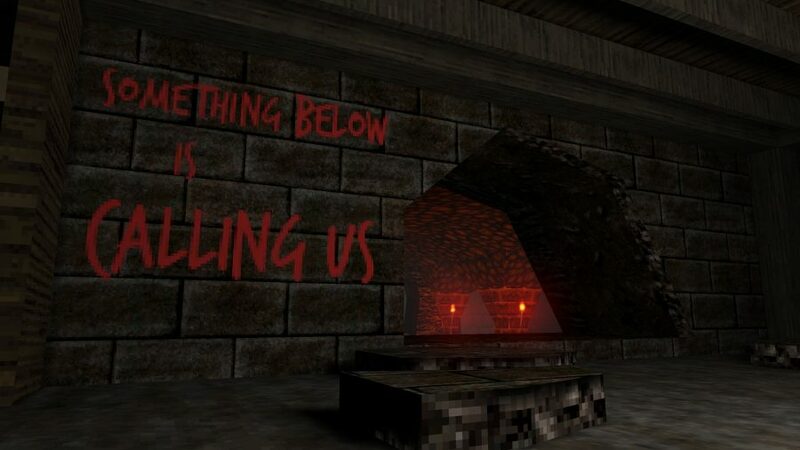 The game is broken down into four stories, one of which you may recognise as a remastered version of The House Abandon – a shorter adventure game released in 2016 as a free-to-play title. Stories Untold is set during 1986 in different countries, from England to Greenland. While these stories may seem separate at first, the more you type away on the game’s various computers and machines, the more you find out everything is more connected than you originally thought. We won’t spoil anything else, but we will say that this is one of the best adventure games on PC, so it’s definitely worth finding out for yourself. 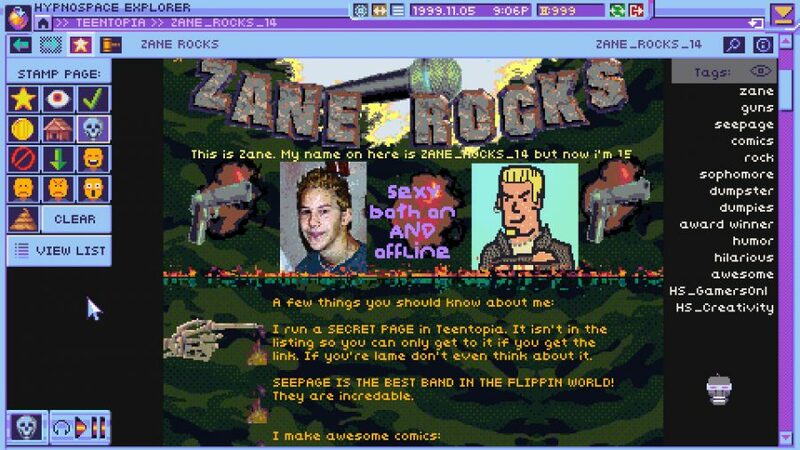 In Hypnospace Outlaw you won’t just be faced with a nostalgic recreation of 90’s internet, but you’ll have to police it, too. It’s not all bad on the big wide web, though, as there’s some light parody to it all. By wearing a brain-scanning headband called the HypnOS operating system while they sleep, users can craft their own web spaces where they can share music and images while chatting. Cast your mind back to MySpace or Bebo, and you’ll be in the right ballpark. There is a job to do here, however, and the big corporation who owns this space wants you to snoop out any and all content violations and stamp it out with your banhammer. You may not be familiar with the names of Ron Gilbert and Gary Winnick, but you’ll likely be aware of their games Maniac Mansion and The Secret of Monkey Island, which came out in 1987 and 1990 respectively. Thimbleweed Park may have come out close to thirty years later, but it does an admirable job of recapturing some of the magic of those point and click classics. Thimbleweed Park plays out like your typical 90’s graphic adventure game and includes plenty of item-based puzzle solving. There are five different characters to switch between, but each has a ‘To Do’ list to keep you on track. The story is set in motion when a dead body is discovered near the titular Thimbleweed Park which would be spooky enough if the town didn’t also boast such creepy locales as a haunted hotel, an abandoned circus, and a burnt-out pillow factory. 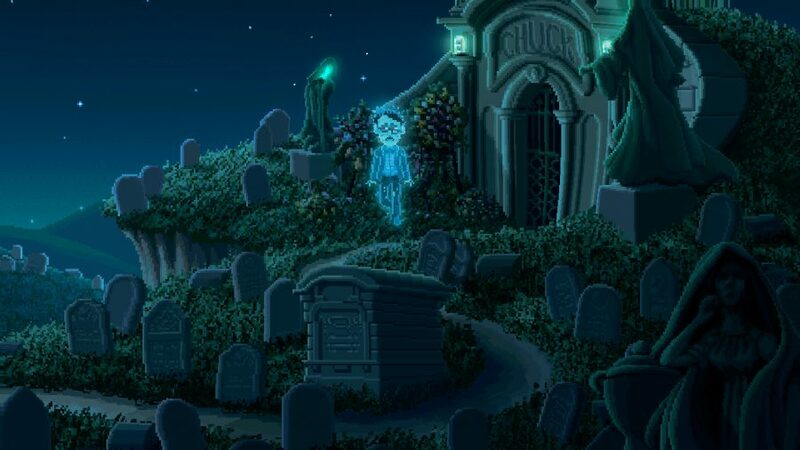 Despite the spooks, the game is packed with a treasure trove of references to both The Secret of Monkey Island and its developer LucasArts – making it nostalgic as it is retro. Sabotage Studio’s debut effort is a tale of two halves, though both of them are wonderfully retro in their own ways. The first half plays out like a 2D action side-scroller and makes its Ninja Gaiden inspirations from the NES clear from the off with splendorous 8-bit graphics and chiptune score to match. 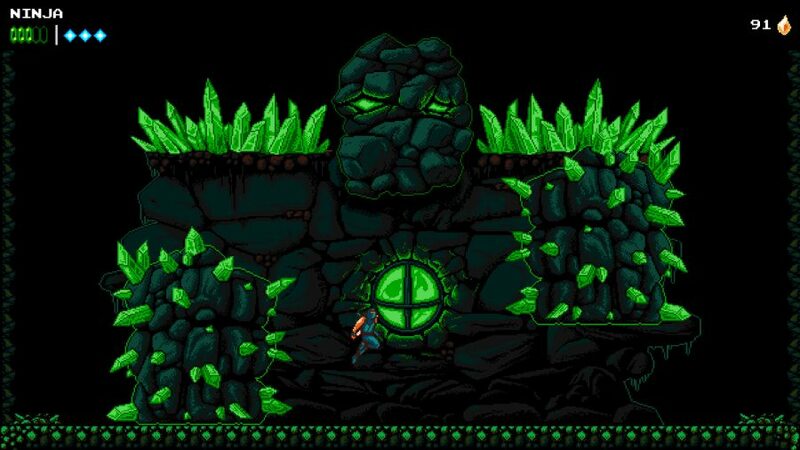 The second act then turns into a vast metroidvania, with time hops that turn the graphics into 16-bit, and an updated soundtrack. The Messenger isn’t content to merely echo NES-era action platformers, though, and does plenty to distinguish itself. At the start of the game, your ninja avatar starts with a basic set of abilities, which is to run, jump, flip, and swing his katana in a single direction. As you press on, however, you’ll unlock more skills that allow you to change your approach to movement and platforming like a cloud jump that gives you a second leap upon hitting an object. We’d even go as far to say that this isn’t just one of the best retro games you could play, but one of the best ninja games on PC, too. 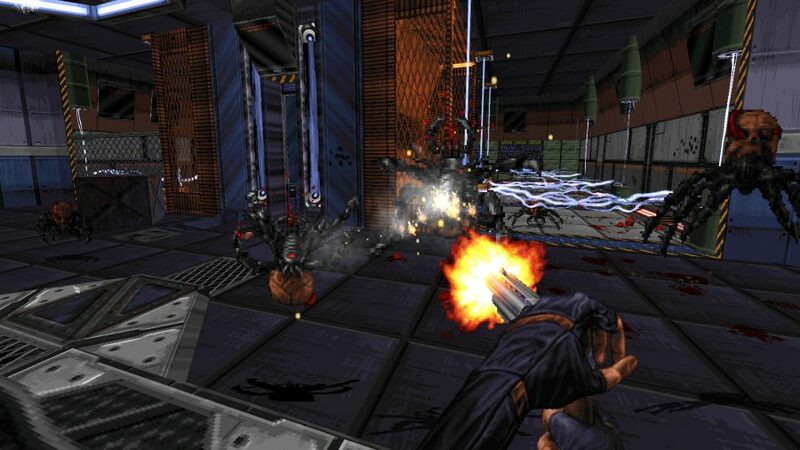 This first-person shooter is so lovably retro that it was built using a modified version of the Build game engine, which spawned such favourites as Duke Nukem 3D, Shadow Warrior, and Blood – some of the best first-person shooters on PC, for sure. Not convinced? You can even get this game on a floppy disk, well, sort of. When you boot up Ion Maiden, you’ll assume the role of Shelly “Bombshell” Harrison – a bomb disposal expert who is aligned to the Global Defense Force. Acting as your opposition in this story is a transhumanist cult leader called Dr Jadus Heskel, who unleashes an army of cybernetically-enhanced soldiers on a futuristic city. As you’d expect, it’s up to you to send ‘em running to the hills. 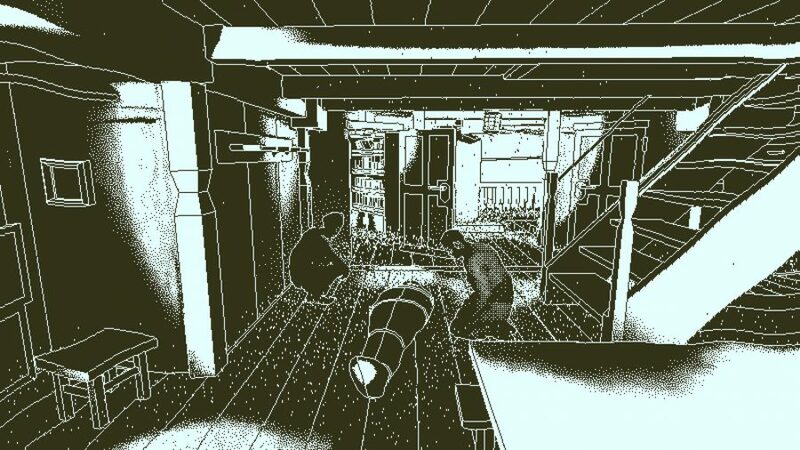 With its black and white graphics laced with grainy pixelation, there’s something immediately old school about Lucas Pope’s Return of the Obra Dinn. It’s probably down to the fact that it’s inspired by games on early Macintosh systems. Return of the Obra Dinn is set in the 1800s upon a fictional East India Company ghost ship that lends its name to the title. As you’ll quickly learn, the crew is gone, and something is amiss. It’s down to you to piece together what happened, and all you have to piece together the puzzle is a Memento Morten stopwatch to return to the moment that each crew members died. That and deductive reasoning is all you have to find out what happened. One of the best indie games on PC? We certainly think so. And there you have it, the best retro games on PC. From old school shoot ‘em ups that would make the Doom guy proud, to detective games that’d leave any LucasArts veteran sobbing with joy – there’s plenty here for you if you’re feeling a bit nostalgic.